Stella attained a B.Sc. Honours at Concordia University in Montreal after completing an undergraduate honour’s theses focusing on the study of lipid monolayers; of interest because of their possible use in drug delivery systems. She subsequently completed a M.Sc., specializing on muscle signaling pathways that regulate muscle growth and their plausible implications in rescuing various muscle wasting disorders. Shortly thereafter, Stella worked as a research associate on a project involving the localization of membrane bound proteins in Red Blood Cells, important for the vasodilatation process and with intended use for the treatment of various cardiovascular disorders. In a move from the bench to the beside, Stella secured a research coordinator position at the University of Ottawa Heart Institute, where she coordinated two Cardiovascular Disease (CVD) surveillance projects called the Champlain Community Heart Health Survey and the 24 Hour Urinary Sodium Excretion Survey. The aim of these projects was to develop a system of excellence in CVD prevention in the Champlain district by collecting timely information on the health of its residents. Stella has thereafter worked as a clinical practice guidelines coordinator in respiratory health. 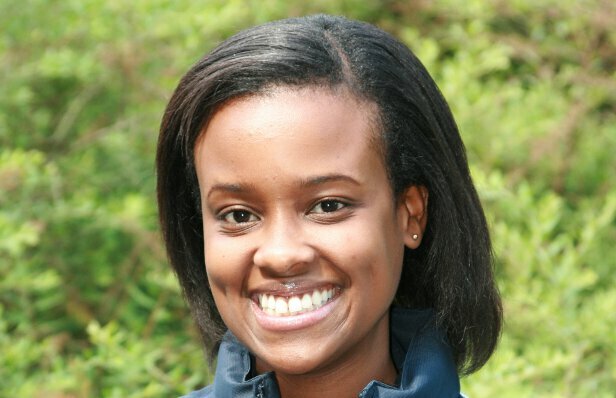 She is now returning to school to pursue a PhD in Population Health in the area of physical activity as a health determinant in Canadian and Kenyan children, and will be joining the HALO group as the first graduate student on the KIDS-CAN project. Stella enjoys hiking, camping and bike riding. She also enjoys cooking and takes pleasure in having a good laugh with family and friends.